Dr. Henry Cloud, a clinical psychologist and nationally syndicated radio host, shows how our character can keep us from achieving all we want to (or could) be. MacArthur makes a compelling case for the impact a man or woman of integrity can have in our world. 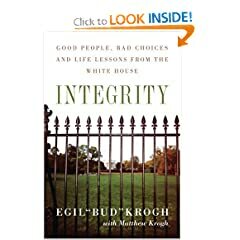 For anyone interested in the ethical challenges of leadership, or of professional life, Integrity is thought-provoking and inspiring reading. 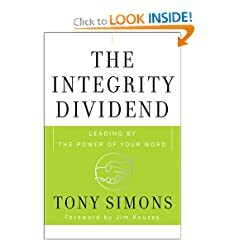 Tony Simons shows how leaders personal integrity drives the profitability and overall success of their organization. 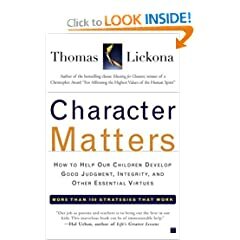 Award-winning psychologist-educator Thomas Lickona offers more than 100 practical strategies that parents and schools have used to help kids build strong personal character as the foundation for a purposeful, productive, and fulfilling life. 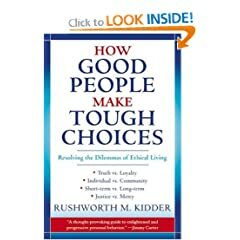 How Good People Make Tough Choices is an indispensable resource for arriving at sound conclusions when facing tough choices. 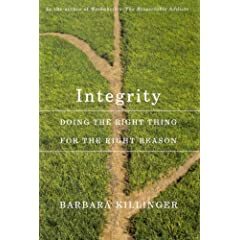 Offers a positive "how to" perspective on safeguarding personal and professional integrity and on encouraging our children to develop this vital character trait.